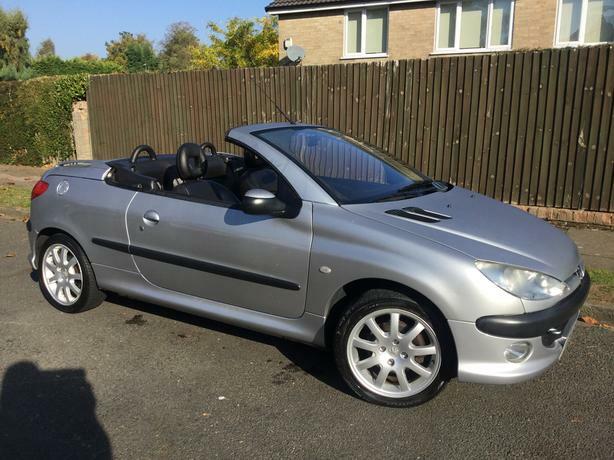  Log In needed £795 · Peugeot 206 CC 2.0i SE - 1 owner with 94k & FMDSH & long MOT ! Peugeot 206 CC 2.0i SE - 1 owner with 94k & FMDSH & long MOT ! Only 1 owner from new !! Only 94,000 miles - well below average for the year ! Looks & drives superbly - no knocks or rattles ! & long MOT & under 100k miles at this money ! Buy one now while they're cheaper than in the summer ! Not the usual tatty abused rubbish - this car is exceptional for the year ! Getting rare - might be collectible one day !